This page (together with the documents expressly referred to on it) informs you of information about us and the legal terms and conditions (Terms) on which we sell any of our products (Products) listed on our website (our Website) to you. If you do not accept these Terms when prompted to do so, you will not be able to order any Products from our Website. 1.1 www.neocakes.co.uk is a site operated by Yanelex Limited ("We"). We are registered in England and Wales under company number 07104239 and have our registered office at 18 Norfolk Square, Paddington, London W2 1RS. Our VAT number is GB 984 8025 83. 2.3 All Products shown on our Website are subject to availability. We will inform you by e-mail as soon as possible if the Product you have ordered is not available and we will not process your order if made. 2.4 If the Product is unavailable or we are not able to supply it for any reason, we may provide you with a substitute product which will be equal to or greater value than the product you ordered. If you are not happy with the substitute product you may return them at our cost. If there are no available substitute products we will contact you by email to enquire whether you would like other available products or to cancel your order. 4.2 Certain Products on our Website can only be purchased if you satisfy the legal age requirement for that product. We are not allowed by law to supply these Products to you if you do not satisfy these age requirements. If you are underage, please do not attempt to order these Products through our Website. 4.3 We intend to rely upon these Terms in relation to the Contract between you and us. While we accept responsibility for statements and representations made by our duly authorised agents, please make sure you ask for any variations from these Terms to be confirmed in writing. 4.4 As a consumer, you have legal rights in relation to Products that are faulty or not as described. Advice about your legal rights is available from your local Citizens' Advice Bureau or Trading Standards office. Nothing in these Terms will affect these legal rights. 5.2 These Terms and any document expressly referred to in them constitute the entire agreement between you and us. You acknowledge that you have not relied on any statement, promise or representation made or given by or on behalf of the us which is not set out in these Terms or any document expressly referred to in them. 6.1 For the steps you need to take to place on order on our Website, please see our FAQ's page. 6.5 If we are unable to supply you with a Product, for example because that Product is not in stock or no longer available or because of an error in the price on our Website as referred to in clause 11.5, we will inform you of this by e-mail and we will not process your order. If you have already paid for the Products, we will refund you the full amount as soon as possible. 7.1 We reserve the right to change these Terms from time to time, without prior notice, by changing them on our Website. 8.1 If you are a consumer, you have a legal right to cancel a Contract under the Consumer Protection (Distance Selling) Regulations 2000) during the period set out below in clause 8.3. This means that during the relevant period if you change your mind or for any other reason you decide you do not want to keep a Product, you can notify us of your decision to cancel the Contract and receive a refund. Advice about your legal right to cancel the Contract under these regulations is available from your local Citizens' Advice Bureau or Trading Standards office. 8.3 Your legal right to cancel a Contract starts from the date of the Order Confirmation, which is when the Contract between us is formed. If the Products have already been delivered to you, you have a period of 7 (seven) working days in which you may cancel, starting from the day after the day you receive the Products. Working days means that Saturdays, Sundays or public holidays are not included in this period. 8.4 To cancel a Contract, please contact our Customer Services telephone line or e-mail us at sales@neocakes.co.uk. You may wish to keep a copy of your cancellation notification for your own records. You will be provided with a Returns Authorisation Number (RAN) which must be quoted when returning your Products. 8.5 You will receive a full refund of the price you paid for the Products and any applicable delivery charges you paid for. We will process the refund due to you as soon as possible and, in any case, within 30 calendar days of the day on which you gave us notice of cancellation as described in clause 8.4. If you returned the Products to us because they were faulty or mis-described, please see clause 8.6. 8.6 If you have returned the Products to us under this clause 8 because they are faulty or mis-described, we will refund the price of a defective Product in full, any applicable delivery charges and any reasonable costs you incur in returning the item to us. 8.7 We will issue refunds by way of cheque unless you specifically request that we refund you on the credit card or debit card used by you to pay. 8.9 As a consumer, you will always have legal rights in relation to Products that are faulty or not as described. These legal rights are not affected by the returns policy in this clause 8 or these Terms. Advice about your legal rights is available from your local Citizens' Advice Bureau or Trading Standards office. 9.1 Your order will be fulfilled by any estimated delivery date set, unless there is an Event Outside Our Control (see clause 14 below). If we are unable to meet the estimated delivery date because of an Event Outside Our Control, we will contact you with a revised estimated delivery date. Please note that we have no control over our couriers' delay in delivering your Products to you. 9.2 Delivery will be completed when we deliver the Products to the address you provided at the time you placed your order. 9.3 If no one is available at your address to take delivery, we will, where we are able to, leave you a note that delivery has been attempted. We will attempt to re-deliver your Products within a reasonable time after our first delivery attempt and we reserve the right to charge you for any re-delivery charges incurred. Please therefore ensure that you are available to take delivery of the Products. (c) You must comply with all applicable laws and regulations of the country for which the Products are destined. We will not be liable of responsible if you break any such law. 9.7 This clause 9 is in respect of both domestic and international deliveries. 10.1 The prices of the Products will be as quoted on our Website from time to time. We take all reasonable care to ensure that the prices of Products are correct at the time when the relevant information was entered onto the system. 10.3 The price of a Product includes VAT (where applicable) at the applicable current rate chargeable in the UK for the time being. However, if the rate of VAT changes between the date of your order and the date of payment, we will adjust the VAT you pay, unless you have already paid for the Products in full before the change in VAT takes effect. 10.4 The price of a Product does not include delivery charges. Our delivery charges are as quoted on our Website and will vary from time to time. 10.5 Our Website contains a large number of Products. It is always possible that, despite our reasonable efforts, some of the Products on our Website may be incorrectly priced. If we discover an error in the price of the Products you have ordered we will either write to you or telephone you to inform you of this error and we will give you the option of continuing to purchase the Product at the correct price or cancelling your order. We will not process your order until we have your instructions. If we are unable to contact you using the contact details you provided during the order process, we will treat the order as cancelled and notify you in writing. Please note that if the pricing error is obvious and unmistakeable and could have reasonably been recognised by you as a mispricing, we do not have to provide the Products to you at the incorrect (lower) price. 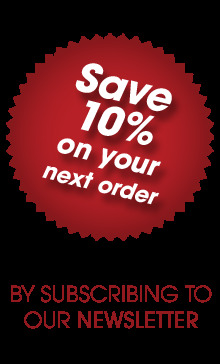 11.1 You can only pay for Products using the methods as listed on our Website prior to placing your order. 11.2 Unless otherwise agreed, payment for the Products and all applicable delivery charges is in advance. 13.3 Subject to clause 13.2 and clause 13.3 , our total liability to you in respect of all other losses arising under or in connection with the Contract, whether in contract, tort (including negligence), breach of statutory duty, or otherwise, shall in no circumstances exceed 100% of the price of the Products. 14.2 An Event Outside Our Control means any act or event beyond our reasonable control, including without limitation strikes, lock-outs or other industrial action by third parties, civil commotion, riot, invasion, terrorist attack or threat of terrorist attack, war (whether declared or not) or threat or preparation for war, fire, explosion, storm, flood, earthquake, subsidence, epidemic or other natural disaster, or failure of public or private telecommunications networks or impossibility of the use of railways, shipping, aircraft, motor transport or other means of public or private transport or any failure of our couriers and/or suppliers. 15.2 If you wish to contact us in writing for example, in respect of any complaints you have, or if any clause in these Terms requires you to give us notice in writing, you can send this to us by e-mail or by pre-paid post to Yanelex Limited at 18 Norfolk Square, Paddington, London W2 1RS and/or sales@neocakes.co.uk. We will confirm receipt of this by contacting you in writing, normally by e-mail. If you are a consumer and exercising your right to cancel under clause 8, please see that clause 8 for how to inform us. 16.3 This contract is between you and us. No other person shall have any rights to enforce any of its terms whether under the Contracts (Rights of Third Parties Act) 1999 or otherwise. 16.6 If you are a consumer, please note that these Terms are governed by English law. This means a Contract for the purchase of Products through our Website and any dispute or claim arising out of or in connection with it will be governed by English law. You and we both agree to that the courts of England and Wales will have non-exclusive jurisdiction. However, if you are a resident of Northern Ireland you may also bring proceedings in Northern Ireland, and if you are resident of Scotland, you may also bring proceedings in Scotland. 16.7 If you are a business, these Terms are governed by English law. This means that a Contract, and any dispute or claim arising out of or in connection with it or its subject matter or formation (including non-contractual disputes or claims), will be governed by English law. We both agree to the exclusive jurisdiction of the courts of England and Wales.